THERE'S A BOOK, BECAUSE THERE'S A BIG PROBLEM. 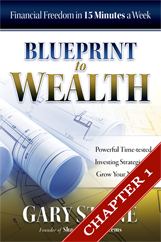 "Blueprint to Wealth" is a simple solution to quite a scary problem. Data released by global finance agency Standard & Poor's indicates that almost all traditional active mutual funds dramatically under perform the stock market index in every rolling 10 year period. The average active fund return can be worse by 2.5% to 3.5% per year compared to the stock market benchmark. 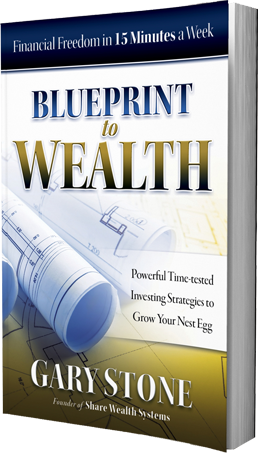 Over the long term, pretty much everyone is forfeiting lots of money or missing out on lots of potential growth... and "Blueprint to Wealth" helps you easily buck that trend. In this stunning revelation of how simple it is to ensure bigger returns on your retirement nest egg, Gary Stone has eloquently combined 25 years of investment and stock market expertise into a book that opens wide doors to dynamic wealth growth, for anyone who can spare just 15 minutes a week. Written by Gary Stone. 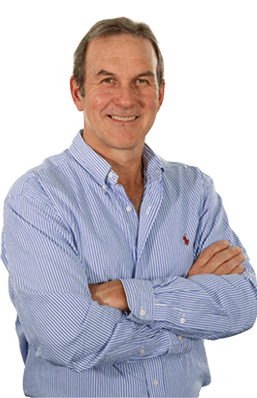 Investor, ETF Expert and Share Wealth Systems Founder.